For those of you feverishly studying away for the bar exam don’t fret about passing or failing. Here is some interesting information that you may or may not have known to brighten your spirits about some of the most prominent American attorneys who have failed a bar exam in their lives. 1. John F. Kennedy Jr., failed the NY bar exam twice before he passed on his third try. 2. Hillary Clinton, the 67th Secretary of State, failed the D.C. bar exam on her first attempt but passed the Arkansas bar. 3. Michelle Obama, the current first lady, failed the IL bar exam on her first attempt. 4. Franklin D. Roosevelt, 32nd President of the United States of America, failed the New York bar exam on his first attempt. 5. Jerry Brown, the current governor of California, failed the CA bar exam on his first attempt before passing on his second attempt. 6. Kathleen Sullivan, former Dean of Stanford Law School, failed the CA bar exam on her first attempt. 7. Pete Wilson, former governor of California, failed the California bar exam three times before he passed on his fourth try. 8. Antonio Villaraigosa, the mayor of California, failed the CA bar exam four times before finally calling it quits. 9. Benjamin Cardozo, a Supreme Court Justice, failed the bar exam five times before he passed on his sixth attempt! 10. Harold Ford Jr., former United States Congressman, sat for and failed the Tennessee bar exam. The above are just a few on a list of thousands of successful law students, who continued on after their failed bar exams to become inspiring attorneys, politicians, educators and role models. 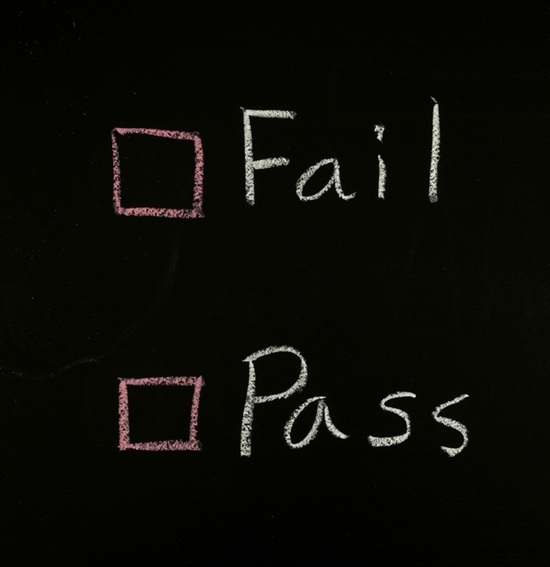 Don’t let your bar exam result stifle your goals and aspirations. Happy studying! The above is an excerpt from BarMax. An odd coincidence almost all (one excluded) of those listed are dems. In Louisiana, the ethics exam seems to be the thing most would-be attorneys have trouble passing. No big surprise if you know anything at all about our politics and politicians. what a great post!!! so interesting! Kind of reveals just how poor of a predictor the bar exam is for anything. Wow. more common than one would think.